I still have two weekly writing appointments in my schedule. It feels great. I have been vacillating between "a writer should write every day" and "a writer doesn't have to write every day." Well, if I'm being honest, I also throw in a couple of other gems and time and priorities and money and and and. Where is the "truth" and is there one approach for all writers? No, of course not. Are there some things which are a good idea if one wants to be a writer? Yes, of course. Are there rules? Yes. Can the rules be broken? Yes. Should the rules be broken? Yes! Absolutely. But wouldn't it be a good idea to follow some of the rules? Probably. Internal dialogue put on the screen-page. I'm sure there are writers who say they don't have these internal struggles; some of them will be telling the truth and some will be lying. That's okay. My bet is that most writers go through these thoughts - at varying degrees with varying answers. I've been spending some time thinking about writing. Writing as creating a product and then writing as a practice. "It takes more than having two hands to be a good pianist. It takes more than knowing two languages to be a good translator or interpreter." I used to play the piano. And the violin. I also taught myself cello and viola and guitar. It took practice. Being on the swim team took practice. And the dance team, way back when, when I did those things. More recently on the dragonboat team; we practiced, a lot. We practiced not just paddling and tilling, but strengthening and stretching and walking and various parts of paddling and tilling and capturing the flag. When I participated in a half marathon, that was a lot of practice. So why do I feel that every time I sit down to write I have to "produce" something? That statement is only a slight exaggeration, because sometimes, like when I'm in a workshop or an online class, I get to do quick writes and free writes and that's okay. But often, when I sit down to write, I feel like it has to be something big or important or meaningful. Don't writers need practice, too? And funny thing, when I met with my Tuesday writing partner this week, she'd been having similar thoughts. She had posted something earlier in the week on Facebook about just this topic, which I'd missed because I haven't spent much time in there recently. She posted about something I'm very excited about but will wait to say more until, well, later. I almost didn't go to our meetup this week, since I had an appointment beforehand which made me late. I'm glad I kept the date in so many ways and this is one of them; we talked about writing practice. Like athletes and musicians and dancers have practice. A second benefit of the Tuesday is that I successfully edited a piece for the writing workshop this weekend. This is another thing I sometimes hate to admit - that, sometimes, I do better with my writing when I have a target with a deadline. This was one of those times. I had a chapter scene which was around 1650 words. We are supposed to take an excerpt for the workshop this weekend which is a maximum of 600 words. Oh no! But I did it. I cut out the build up, a little backstory, some extraneous details to the point of the piece and I got it down to 586 words. Whew. I wanted something which was cohesive on its own, even though there are missing pieces; I feel I did that. And it was a great exercise in getting to the heart of the scene. 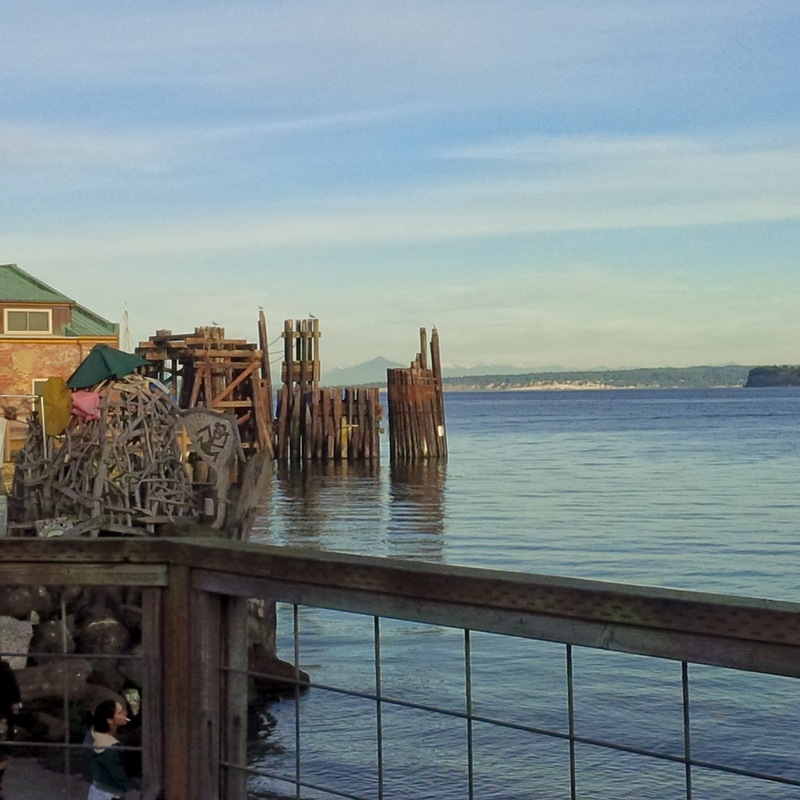 Tomorrow I head back up to Port Townsend for another Lidia Yuknavitch workshop at The Writers' Workshoppe. I'm looking forward to getting feedback on this piece, doing more writing, going deeper in this process. The weather looks good : meaning no freezing wetness on the roads up and back. A weekend away and centered on writing.